Beauty is in the eye of the beholder, but wrinkles cannot full anyone. Women these days struggle between office tasks and home duties and this hacky lifestyle puts a mark on the face sooner or later. Eating healthy and doing regular exercises represent key factors in maintaining an active lifestyle. Using cosmetics to prevent wrinkles is another wise decision women should take when they are in their mid 30s. I have compared anti-wrinkle creams and came up with a top of creams that really have results. 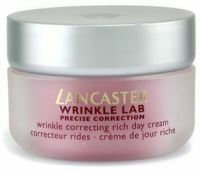 Wrinkle Lab Day Rich Cream by Lancaster has a very pleasant light texture and is suitable for sensitive skin. It fights against fine lines to keep your youthful appearance intact. Use a special cream in the night to get better results. 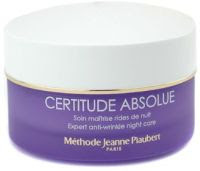 Certitude Absolue - Expert Anti-Wrinkle Care by Methode Jeanne Piaubert deeply hydrates skin and erases fine lines in a couple of months. You should choose a different product, more concentrated, for the delicate eye zone. 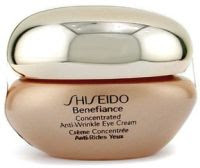 Benefiance Concentrated Anti Wrinkle Eye Cream by Shiseido has a special formula called anti-photowrinkle system. It is recommended for fighting against fine lines, but also for reducing dark circles. 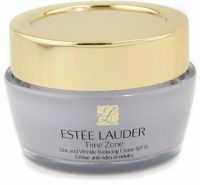 Time Zone Line & Wrinkle Reducing Crème by Estee Lauder regenerates aged skin. The cream fills deep wrinkles and that is why it is recommended for women +45. The skin is deeply moisturized, smoother and radiant. The skin care industry has developed special products for men to fight and reduce wrinkles. 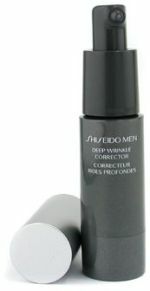 One of them is Men Deep Wrinkle Corrector by Shiseido. This insta-moisturizing cream promises to reduce fine lines in about four weeks. It is suitable for sensitive skin types, including the eye zone. Signs Wrinkle Serum by SK II has a scientific formula which boosts the collagen production. It enhances skin’s elasticity and firmness. The serum is suitable for all skin types.